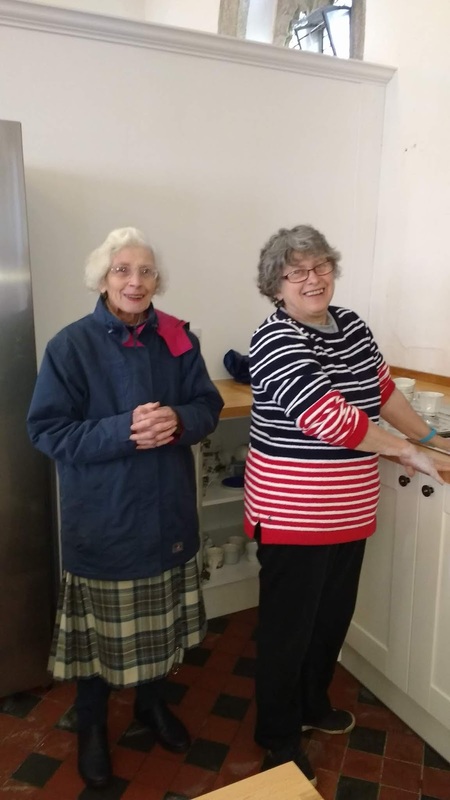 After many months of planning and fundraising, we can now confirm that our new kitchen and toilet are installed and ready for use! To bring our beautiful church in to the 21stcentury, the plans of having this sort of luxury seemed insurmountable. Our churchwarden Rob Turner, however, took a different view and has worked tirelessly to see the project through. Plans were drawn up by architect – Ian R. Jamieson (services given gratis) and eventually approved. Thanks to some great fundraising, building commenced in early January 2019. Bright Ideas of St Tudy (Dave Holborow, ably assisted by Si, Charlie, and Mash) have made an incredible job for us. They were clean, tidy and considerate workers. A great team, faultless workmanship and always punctual too! We thank you. The whole project would have been much harder to come by however, without the very generous donation of £6,000 by the Friends of St Mabyn led by Esther Dudley, through their own fundraising efforts. We also secured a grant of £1,125 from the All Churches trust for which we were also very grateful. Two further grant applications are still pending, and it is hoped that these and further Friends fundraising planned for the first half of 2019 (concerts in church by Johnny Cowling and Bristol’s acclaimed Exultate Singers) will cover a further significant proportion of the balance, financed in the short term from PCC funds. The project will mean that as a church we can offer better catering facilities for church services and events. Mores to the point, visitors can use the 'throne room' and stay comfortable – very valuable for the children and elderly who use the church.